Subaru enthusiasts have long hoped for a three-row SUV from Subaru. Hope has become reality with the 2019 Subaru Ascent. It's spacious and comfortable while also being rugged and durable. 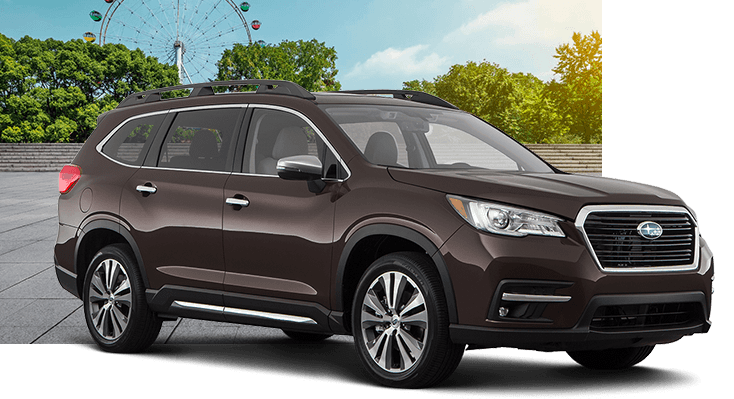 From its impressive safety to its great technology, there's so much to love about the new 2019 Subaru Ascent. Keep reading to get a better idea of what this three-row SUV can offer you. From the moment you first see the 2019 Subaru Ascent, it's easy to tell that it's truly something special. Its powerful design makes it look sleek and rugged at the same time, while a distinctive grille and headlights add a slick flair. 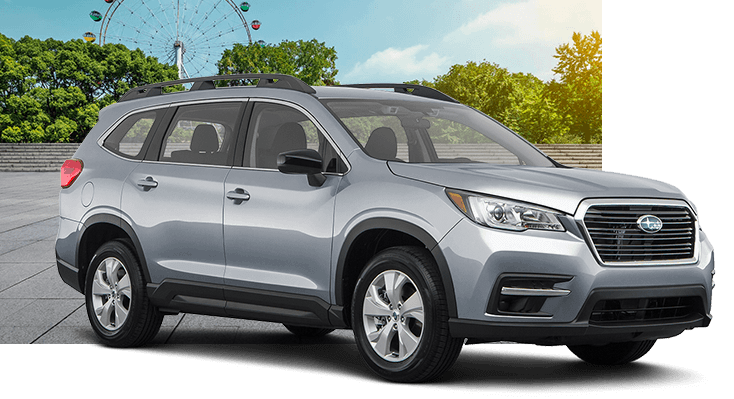 The available power rear gate makes loading and unloading the Subaru Ascent easier, and the standard raised roof rails let you carry a wide variety of cargo along for the ride. Step inside the 2019 Subaru Ascent and you'll be greeted by an interior that is both cavernous and luxurious. You can choose between seating for up to seven or up to eight--but no matter which choice you make, you're sure to be impressed with the high level of comfort. Up to 153.5 cubic feet of passenger volume means that you and your passengers can stretch out and relax, while the expansive cargo space lets you take what you need. 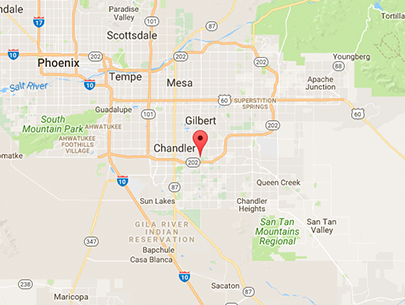 You'll also find that the Subaru Ascent is well-equipped with great technology, like the 4G LTE Wi-Fi that is standard on all but the entry-level trim. SUBARU STARLINK™ keeps you connected, while the available fourteen-speaker Harman Kardon QuantumLogic Surround Sound audio system lets you listen to your music with incredible clarity. Subaru EyeSight® is an impressive suite of driver assist technology features that's standard on every new 2019 Subaru Ascent! EyeSight® has been found to reduce rear-end crashes with injuries by up to 85%, so you and your passengers can enjoy increased peace of mind. From Pre-Collision Braking to Adaptive Cruise Control, EyeSight® is incredibly helpful. 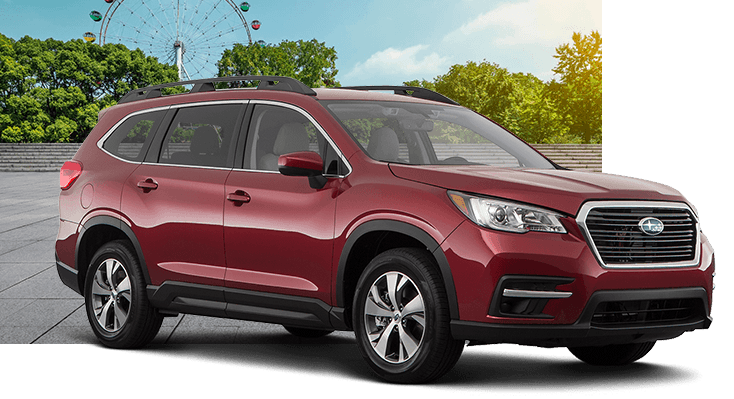 The 2019 Subaru Ascent is ready to take you just about anywhere. Like all Subaru SUVs, it comes standard with Symmetrical All-Wheel Drive. Additionally, X-MODE® and Hill Descent Control are standard. This means that it can handle all kinds of off-road terrain that would turn other SUVs back. The powerful SUBARU BOXER® engine generates an impressive 260 horsepower and 277 pound-feet of torque. Despite this impressive power, it still gets great fuel economy of up to 27 miles per gallon on the highway. Of course, nothing can quite match the experience of taking the Subaru Ascent for a test drive, so be sure to do so. Even the base model Ascent provides modern convenience and entertainment on your drive thanks to a touchscreen display with Apple CarPlay™ and Android™ Auto. On the exterior, aluminium alloy wheels, LED daytime running lights and roof rails come standard for an upscale look. What's more, the impressive Subaru EyeSight® driver assist technology that includes pre-collision braking and adaptive cruise control is standard on every model. With an increased towing capacity of up to 5,000 pounds, the Subaru Ascent Premium can haul bigger trailers, boats and campers than the entry-level model. Furthermore, you'll get a leather-wrapped steering wheel and shift knob plus special, stain-resistant upholstery for an interior that feels as good as it looks. This trim level also gets a mobile Wi-FI hotspot for connecting all your family's wireless devices. The Limited trim level gets leather upholstery on the inside plus 20" dark grey aluminium alloy wheels, LED headlights and fog lights on the exterior. Its party trick is the power rear tailgate with programmable height adjustment, so you can easily access the rear cargo area without worrying about hitting the garage door or ceiling. The all-weather package also comes on the 2019 Subaru Ascent Limited, adding heated front and second-row seats. The top-of-the-line Subaru Ascent Touring comes standard with second-row captain's chairs for easier third row access -- and that's just the beginning. The seats are trimmed in special java brown leather and the music is pumped through a premium 14-speaker system by Harman Kardon. It also provides a panoramic moonroof, ventilated front seats and woodgrain-pattern interior trim. 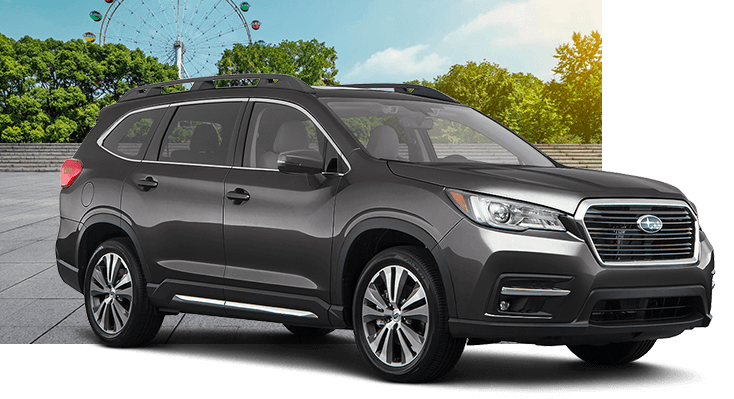 Enjoy luxury car features without the high price when you choose the 2019 Subaru Ascent Touring.